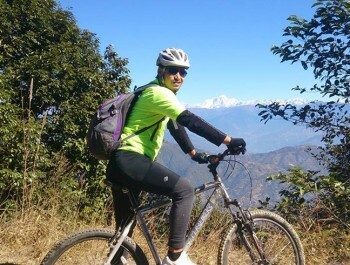 Pokhara Gorkha bike tour starts by Driving to Pokhara, a beautiful lake city with majestic view of whole Annapurna Range dominated by Machhapuchare (Fishtail). We explore the Pokhara Valley and its surrounding scenic areas and then head towards an old historical city Tansen. DAY 1: ARRIVAL Arrival in Kathmandu, transfer to a hotel. DAY 2: KATHMANDU - POKHARA (BY PRIVATE BUS) Drive to domestic airport and fly to Pokhara. Overnight in a hotel. DAY 3: Bike up to Sarangkot which is about 15 km from the lakeside, mostly on paved road and about 10 km off-road towards Naudanda and hit again on paved road with less traffic mostly downhill via Hemja. Bike back to the Hotel. 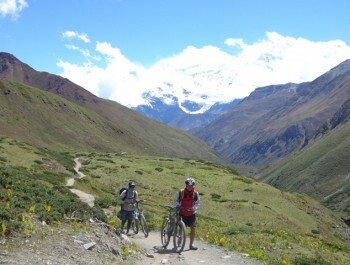 DAY 4: On this day we bike through the main town Mahendrapul and turn right on off-road after crossing the British Gorkha's Camp, Ghachok and Lhachok after crossing Bhurjung Khola and back again on Tarmac road to Hemja (Tibetan Refugee Camp). DAY 6: we bike along the highway to Tansen and Butwal. We cross right to the off-road climbing approx. 3 km on Jeep track that goes as far as 12km from the main road and nice single trail will began with technical down and ups through Biswa Shanti Stupa (World Peace Pagoda) to the dam side. DAY 7: You bike 10km to the Pokhara - Kathmandu Highway and then turn left to Begnas Lake. After lunch steep climbing about 6km off-road up to Kalikasthan (15-20minute carry up) then 7 km wide Jeep track down to Bijayapur Khola and continue on biking on highway and back to the hotel. 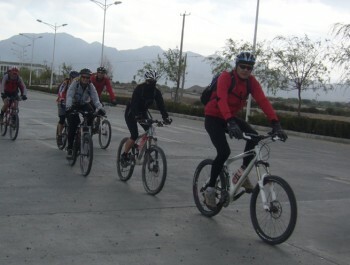 DAY 8: Ride up to Harpani and back to the hotel via same way. Biking almost attached with Fewa Lake on your left. Bike back to the hotel. We will bike via Baguwa village to Karpurtar through beautiful rice fields where the intersection of three roads, one goes to Besisahar, one goes to Sundari Bazar and one goes to Damauli (Karpurtar to Damauli 38km). 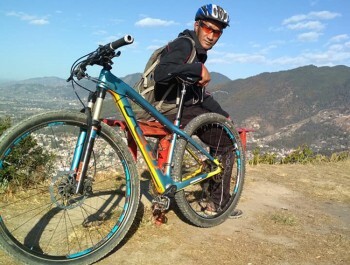 We ride towards Damauli via suspension bridge on Madhi and Mitini Khola and stay in Damauli in a hotel. DAY 11: You ride up and down of 12km and reach Turture and cross Marshyangdi river and we reach to the deserted airport and ride uphill and downhill to the Luitel village, a remote village from where we can see Fishtail mountain and Ganesh Himal. 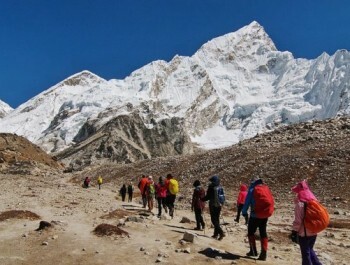 Then we descend down to the Daraundi Khola and after crossing the river we reach Chepetar. From here it takes us 1hour to get into the main Gorkha road called 13km point and then we ride to the Gorkha palace. We ride around historical Durbar Square of Gorkha. Later our support vehicle will pick us up for our return journey to Kathmandu. Day12: Departure or settled your another program.